Staump music school hosts a number of concerts through out the year. We are known for producing two large scale productions a year: our Spring and Fall Concerts. Our Fall and Spring concerts are open to all students. These concerts typically have large audiences of 300 to 500 people. In addition to our popular Spring and Fall Concerts, our group classes perform at the end of their 10 week sessions. We have 4 of these 10 week concerts per year, this gives group classes something to work towards during their 10 week sessions as well as giving private students solo performance opportunities. 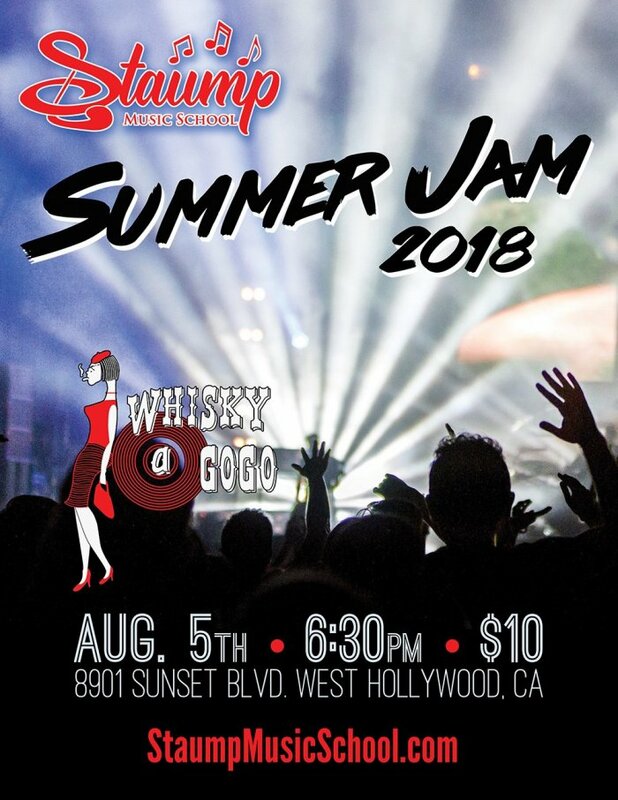 Each summer we produce the Staump Summer Jam Concert featuring our Summer Songwriting Camp. Besides our self-produced concerts, our students perform at community events such as the Santee Street Fair, American Cancer Society Relay for Life, and school festivals.